Paris-based pharmaceutical Sanofi-Aventis (SNY) has extended the deadline for its tender offer for Cambridge, Mass.-based biotech Genzyme (GENZ) by six weeks, from Dec. 10 to Jan. 21, 2011. All other terms and conditions of the offer, including the $69 per share bid, remain unchanged, Sanofi said. As of Dec. 10, approximately 2.2 million shares of Genzyme were tendered and not withdrawn, representing approximately 0.9% of the outstanding shares -- barely scratching the surface since Sanofi launched the hostile bid in October. The two companies seem to be at an impass where Sanofi says it won't raise its offer before any talks begin, while Genzyme maintains the $69 a share offer is "opportunistic" and "unrealistic," and that it basically won't entertain Sanofi before a more serious offer is on the table. Genzyme's shares have been trading mostly above $70 ever since news of the offer was made public in July. Analysts said repeatedly they believe Genzyme would go for a between $75 and $80 a share. The French company's $18.5 billion cash bid for Genzyme, which focuses on rare diseases, has remained unchanged for the past several months as Genzyme, Sanofi, their investors and top management have butted heads. Among other things, the companies disagree on the value of Genzyme's turnaround efforts at its Allstom, Mass., plant as well as the potential of its experimental multiple sclerosis drug Campath. Can the extra six weeks really make a difference? One possibility is that this extension would allow the companies to discuss "contingent value rights" (CVR), where Genzyme investors would be compensated based on future performance. Genzyme CEO Henry Termeer said last month he was open to CVR for Campath, Reuters reported. Genzyme has experienced problems at its Allstom plant the past year, causing sales and profit to slump. 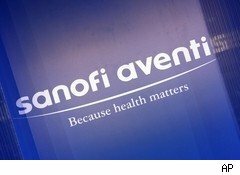 But the biotech still holds considerable appeal for a company like Sanofi-Aventis, which is facing a major patent cliff: Five of its eight best-selling drugs will lose patent protection and face generic competition by 2012. While Genzyme could help Sanofi offset lost sales and boost its weak biotech division, so far CEO Chris Viehbacher appears to be in no hurry and believes time is on his side.